It is desperately sad to watch Guus Hiddink ruining his own legacy. Step by step, he dismantles the image that, at some point, used to be almost perfect. Remember the effort Roman Abramovich made to bring the Dutchman to Chelsea in 2009, even on temporary basis? He was the magician, the man with the Midas touch. Nowadays, it will be quite difficult to find a fan who understands what Hiddink is doing on Netherlands' bench. They want him out. Some openly hate the coach who has long been considered one of the most likable figures in football. Something has gone terribly wrong. On Saturday, exactly a year to the date when Hiddink was officially named Louis van Gaal's successor, the Dutch escaped their first defeat at Amsterdam ArenA by the skin of their teeth, when Wesley Sneijder's speculative shot was deflected into the net by Klaas-Jan Huntelaar to make it 1-1 against Turkey. 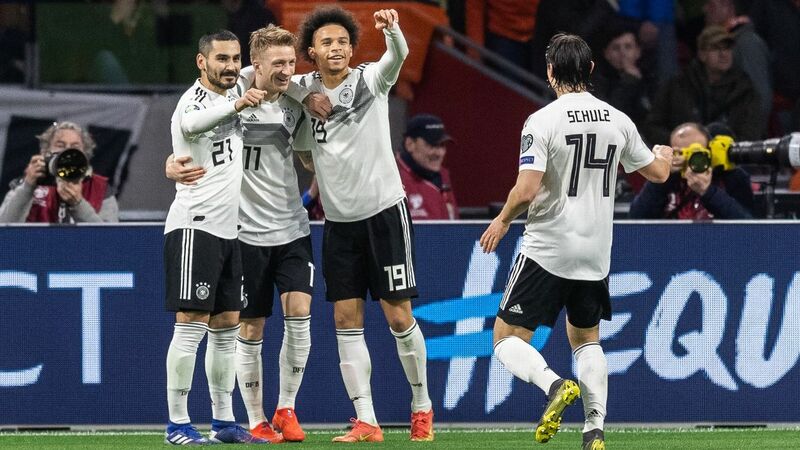 Their Euro 2016 qualification campaign, one that started with a 2-1 defeat at Czech Republic and continued with a dreadful 2-0 fiasco in Iceland in which the Dutch didn't manage a single shot on target in the second half, took another turn for the worse. At the news conference following the Turkey match, an exhausted-looking Hiddink claimed: "We must realise that Holland are no longer a top European team. We finished third at the World Cup, and that is very nice, but that's not the reality." What is the reality, then? Taking into account that the Oranje were also runners up at the 2010 World Cup and easily qualified for every major tournament since the infamous debacle under Van Gaal in 2001, that is a very remarkable statement. Apparently, the coach has lost faith in his own team. It's no wonder that people are losing faith in him. A poll by Dutch daily newspaper Algemeen Dagblad shows that only nine percent of the fans believe Netherlands are bound to qualify for Euro 2016 directly from one of the top two places in their group, leapfrogging Iceland or the Czechs in the process. 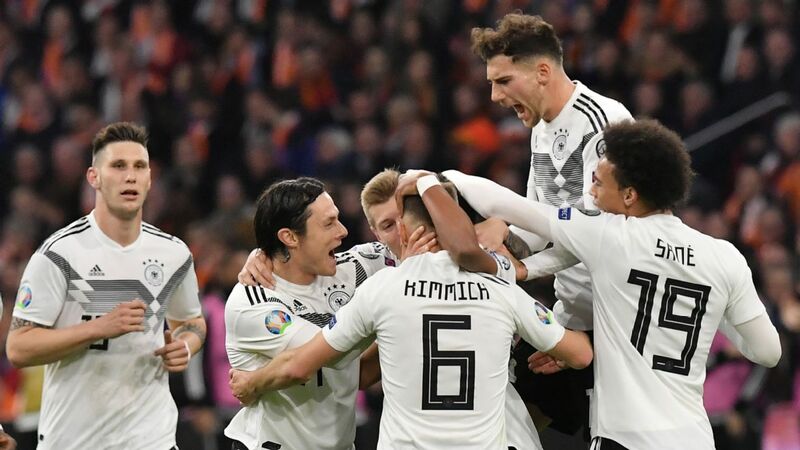 Thirty-one percent assume that they will make it to France via a playoff, but 60 percent of the respondents think they won't make it at all. This is an absolutely staggering, almost unbelievable, figure. In the midst of a disastrous Euro 2016 qualifying campaign, Netherlands manager Guus Hiddink has been called upon to resign by various corners of the local media. Polls made in the press ahead of the game against Turkey showed that majority of the fans want Hiddink to quit. Naturally, missing injured Arjen Robben, the undisputed star of the team, was very unlucky, and the coach had to do without other major players such as Robin van Persie and Ron Vlaar, as well. That can't be used as an excuse, however, and it must be noted that Robben and Van Persie were on the pitch in Reykjavik in October to no avail. Problems lie much deeper, and some of Hiddink's selections were harshly criticised. The 68-year-old was the one who nurtured Ibrahim Afellay at PSV Eindhoven about a decade ago, and it looks like their relationship has made the player virtually untouchable, even though his form at Olympiakos has been dreadful throughout the season. On Saturday, Afellay was in the lineup again, playing a poor first half as a right winger, then barely touching the ball in central midfield after the break. How he was allowed to complete an entire 90 minutes is a mystery. Netherlands enjoy a lot of possession in all of their games, but they appear to have run out of ideas of what to do with the ball when they have it. In the latter stages of the game against Turkey, they started sending long balls to central strikers, making the fans complain that they feel like they are watching Stoke or West Ham. As the problem was so obvious for all to see, it was inexplicable that Hiddink didn't use the two players who were likely to solve it. Davy Klaassen, seen as the new Dennis Bergkamp at Ajax, didn't play a single minute under Hiddink. He was left on the bench again, lucky even to be there, as he wasn't included in the original squad at all. Jordy Clasie, the Dutch Marco Verratti -- a pint-sized midfield warrior who is also a clever and reliable ball distributor -- was frozen out, as well. Nigel de Jong, never the greatest passer and clearly out of form anyway, was used instead. The consensus in the Netherlands is that, without Klaassen and Clasie, the team lacks class. "Those two have more organisational and tactical skills that the whole Turkey team put together", Johan Cruyff wrote in De Telegraaf. Wim van Hanegem, legendary star and coach, criticised Hiddink in his Algemeen Dagblad column: "I like Guus, but he must be realistic. I really don't understand why didn't start with Clasie and Jetro Willems at left-back." Jordy Clasie, along with fellow youngsters Davy Klaassen and Jetro Willems, has been largely frozen out of Hiddink's Netherlands. Much harsher words could be heard in the autumn, when Ronald de Boer openly demanded the coach to be fired. "I don't see a game plan at the moment. Hiddink is done, because his ideas are old fashioned. Ronald Koeman, who really wanted the job, showed at Feyenoord that he can really shape a team, and he also understands the mentality of young boys," he told Sky Sports. He was joined by Ruud Gullit, who told De Telegraaf: "I don't know why they chose Hiddink. It was a cowardly decision, and [the Dutch FA] are to blame for it." Koeman was indeed more than available for the job last spring. Having reinvented himself at Feyenoord after disastrous spells at Valencia and AZ Alkmaar, the former defender was 51 already, clearly not too young to take charge of the national team. The only man to have played for and coached at all the big three teams in the Eredivisie, he would have been the most natural and popular choice. However, the Dutch FA considered him to be too risky and offered Koeman to work alongside Hiddink for two years before having a chance of promotion. Disappointed with the manner in which the proposition was made, Koeman refused, and he is now busy doing a remarkable job at Southampton. Danny Blind was appointed Hiddink's assistant instead, and he is supposed to succeed the old man come 2016. Whether that is a wise decision, given the fact that Blind served as coach for only one season at Ajax and failed, is unclear. Hiddink was chosen because he was the safe option, but in reality he is anything but. Ever since Andres Iniesta scored his dramatic equaliser for Barcelona at Stamford Bridge in the 2009 Champions League semifinals, the veteran's golden touch has gone. Hiddink's Russia sensationally lost to tiny Slovenia in a playoff, failing to qualify for the 2010 World Cup. Turkey, where Hiddink failed spectacularly with Fenerbahce in 1990, hoped that he would work wonders, like he had done with South Korea, Australia and Russia, and take them to Euro 2012. But it wasn't to be. A talented squad was thoroughly thrashed by Slaven Bilic's Croatia in the playoffs. Anzhi Makhachkala came next for the Dutchman on an outrageous salary. The expensively built team was expected to challenge for the title but never even came close, finishing a distant third with a rather disappointing style of football. Looking back, it is clear the last great achievement by Hiddink was Russia's phenomenal 3-1 win over the Netherlands in the Euro 2008 quarterfinals. That was an immense spectacle, arguably one of the best matches in the tournament's history. Who knows, maybe Hiddink felt responsible for having destroyed his own country's hopes in such fashion. Maybe that is the reason behind his decision to come back and finish his illustrious career with the national team. Contrary to his words on Saturday, he must have believed in his chances, because coming out of what was basically a retirement makes absolutely no sense otherwise. A year has passed and Hiddink is in deep trouble. He promised to resign in November if the Dutch lost to Latvia, but that specific game was easily won 6-0, the only straightforward 90 minutes of his tenure. "I will make this team work again, but I don't know how at the moment," he said after the fiasco against Turkey, as "#HiddinkOUT" was trending in the Netherlands on Twitter. The problem is that the Dutch FA don't have a reasonable alternative to Hiddink if he is fired. Koeman is no longer available, Frank de Boer is not interested at the moment, Phillip Cocu won't leave PSV and promoting Blind ahead of schedule seems pointless. As Wim van Hanegem stated: "Danny sits next to Hiddink and has nothing to say." That is why Netherlands' friendly fixture against Spain on Tuesday becomes extremely important. The orange nation fears the worst, with a sweet Spanish revenge for the 5-1 thrashing in June in Brazil very much on the cards. The coach is expected to make significant changes to the lineup, which might please his critics and put the team back on track. If Hiddink fails to do so, his career is likely to end in a total disaster. Does he really deserve that?